Read the latest news and updates in the society newsletter. Also, please note that the 2016 edition of History Day is coming up on Sunday, October 2nd from 1-5pm at the Silver Mountain Station. More details to follow. Have a safe and restful holiday season. Here is the latest news from the society. As all of you should be aware, the society was examining the possibility of acquiring the caboose, which currently resides in Prince Arthur’s Landing in Thunder Bay. Several meetings were held with members of city administration, followed by a deputation to council on May 4th. 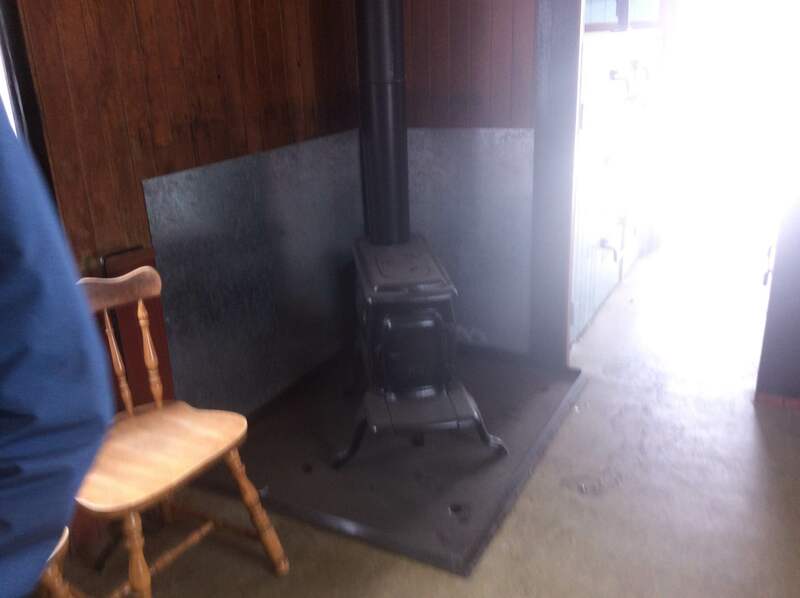 At the time we were very confident that the city would donate this piece of history to the society so we could relocate it to Silver Mountain to serve as a historical attraction and museum. If you followed the local media you would be aware that our plans and subsequent deputation caused quite a stir among local residents. There were many people who spoke out against city council for not maintaining its cultural heritage; others were concerned about the loss of the caboose from the Marina and the city. It certainly created a lot more controversy than we anticipated. With this in mind, the subject of the caboose was discussed at length at the May 27th meeting of the board. There was a lot of concern among members of the executive that the animosity currently directed toward city administration and city council would eventually turn toward the society for “stealing” a piece of Thunder Bay’s history (in spite of our repeated statements to the contrary). 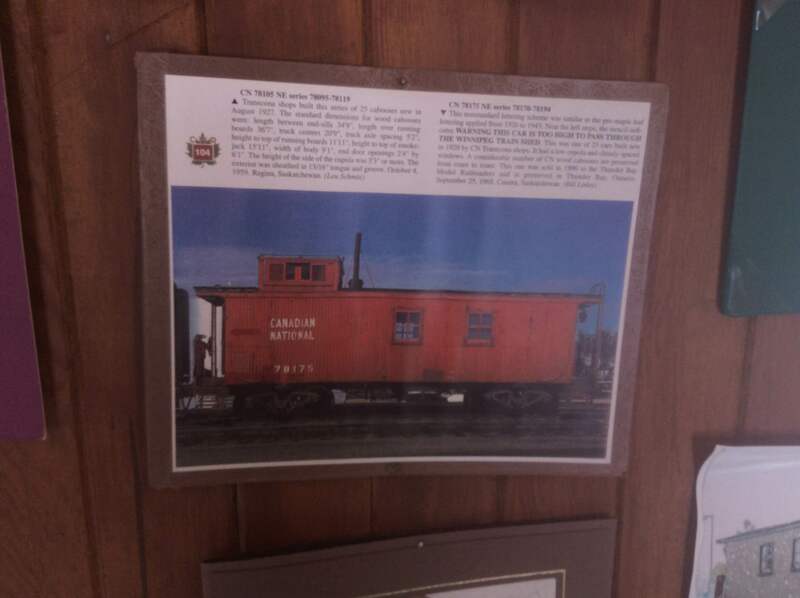 Our sole intention regarding the caboose was to save this great piece of history and give it the care and attention it needed, even if it was from Silver Mountain. Other concerns revolved around the expense and complications of moving such a large, fragile object 60 kilometres outside the city. With much reluctance, the board decided to ask city council to rescind our request for the caboose. We were required to submit that request in writing to the City Clerk’s office to satisfy all the legal requirements of the process. This accounts for the delay in notifying the membership of our intent as we wanted to give council an opportunity to receive our letter before it went public. It saddens us that we had to make this decision, but the whole process was becoming too political for our organization. We are very grateful for the assistance we received from city administration and the opportunity we were given to speak to council. We hope that a group does step forward with a plan that will ensure this great piece of history receives the protection it deserves. The board has begun looking at other options for a museum at Silver Mountain and we will share that information as soon as it is prudent to do so. At our May 27th meeting, the board ratified the appointment of Brett Starrs as the society’s secretary for 2015-2016. This position was left vacant following the AGM in March and it allows society Vice-President Kyle Duckworth to return to his normal duties after wearing two hats for the past few months. Brett comes to us with experience from the Lakehead University Historical Society and brings a little more youth to the society board. We look forward to working with him for the next two years. On Sunday, April 26th the society will be hosting its first ever High Tea at the Silver Mountain Station. The tea will begin at 2:00 and the cost is $25 per person. The menu consists of tea sandwiches, scones, desserts and a variety of teas. The proceeds of the tea will benefit the society and the projects we currently have underway. For those on Facebook, you can view the event here. We hope that this tea will grow and become an annual event for the society. Please take a drive out to Silver Mountain and help support our efforts to preserve history! 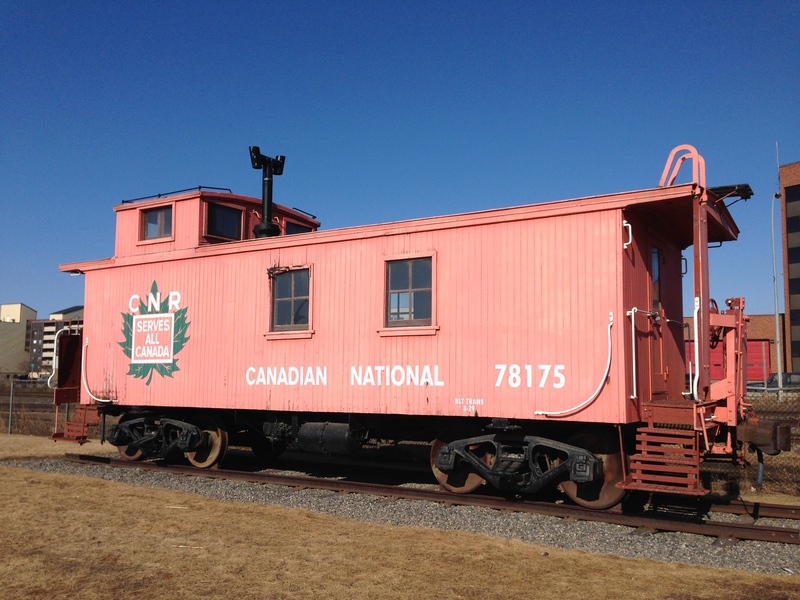 Here is the latest news from the CN Caboose acquisition project. Due to some scheduling conflicts with the City Clerk’s Office, our deputation before council has been rescheduled to Monday, May 4th (pending confirmation). 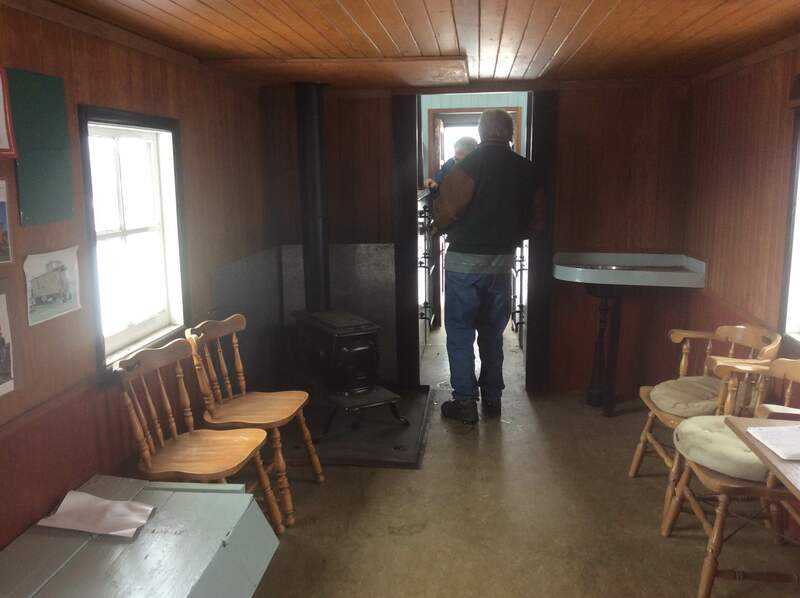 This past week society treasurer Shelley Simon had the opportunity to tour the inside of the caboose with Paul Fayrick, Manager of the Parks Division. 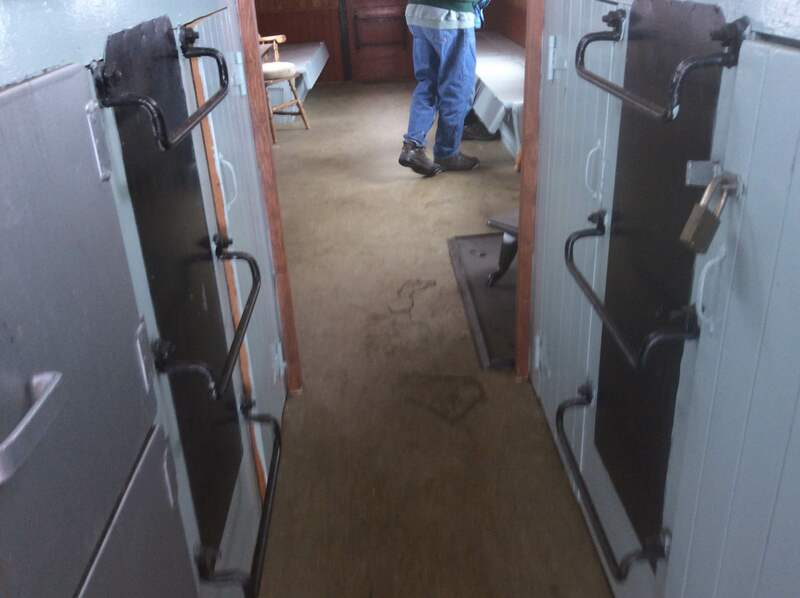 The interior appears to be in good shape and it also gave us more information regarding the history of this particular piece railway rolling stock. Caboose “78175” was built by the CN Transcona Shops in Winnipeg in 1929, which certainly dates to the period of the PD. 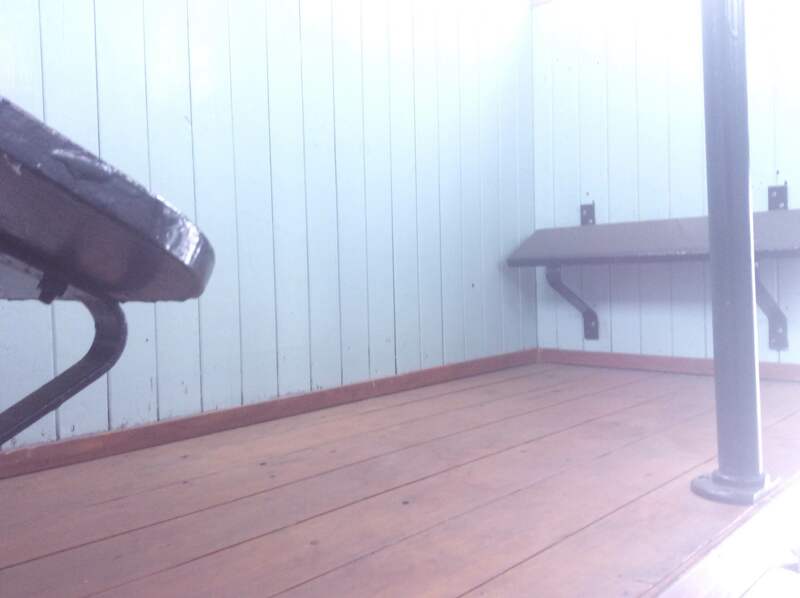 It’s current paint and configuration reflect a 1950’s appearance; it is the society’s intention to restore caboose, should we acquire it, to a 1930’s livery. 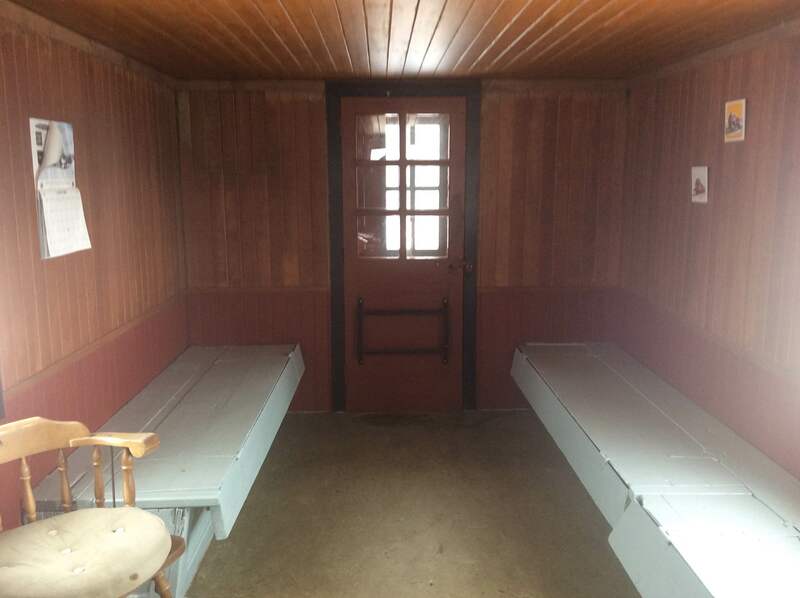 CN Caboose Interior, April 2015. Here are some highlights from March 29th’s General Meeting. The society just passed its second year anniversary of incorporation. We are growing and will continue to do so as the message gets out about who we are and what we do. Our financial situation continues to improve as time passes and we become more stable. We currently have over $900 in the bank and are looking into an operating grant from the government that could see us receive approximately $900 to $1500 per year to cover our expenses. Highway 593 Dedication-We are one step closer to see a portion of Highway 593 dedicated to the memory of Dorothea Mitchell. All the approvals from the local roads boards have been received and now it is in the hands of the MTO. They will let us know where the boundary of the dedication portion will be, along with any cost we will incur as a result of this project. Historic Plaque-The society is still committed to erecting a historic plaque for Silver Mountain, but we are examining our options as the process is very time consuming and expensive. 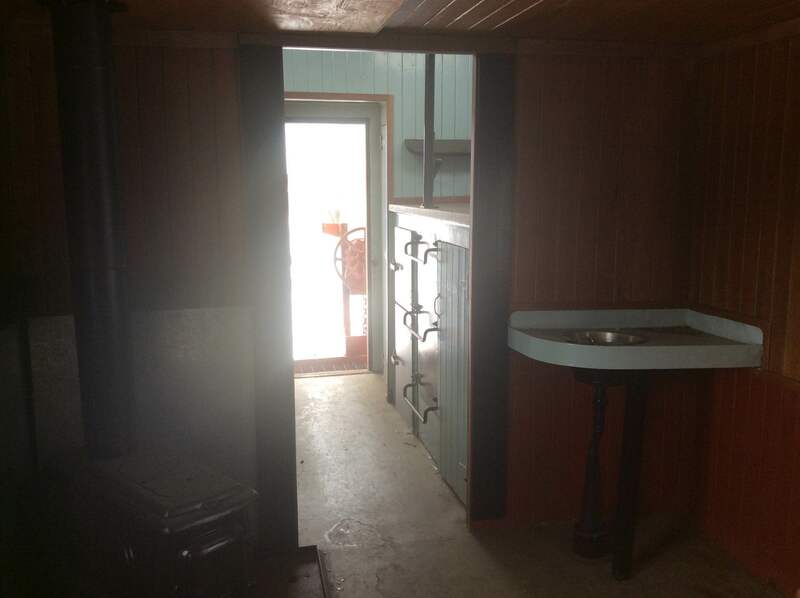 North-Gunflint Lakes Historic Corridor-The preservation of historic sites in the area, the process of which was started in 2012, continues very slowly but progress is being made. The society is working with a cultural heritage specialist in Toronto and it has been decided that the first step must be an inventory and mapping of the area. This will require the assistance of a licensed archaeologist and some question has arisen as to where the funds will come from to pay for this work. We are looking into accessing funding from various government agencies as well as MNRF whose land many of the sites reside on. Museum-Exciting news! Since our incorporation, the society has been examining options regarding the establishment of a museum at Silver Mountain. 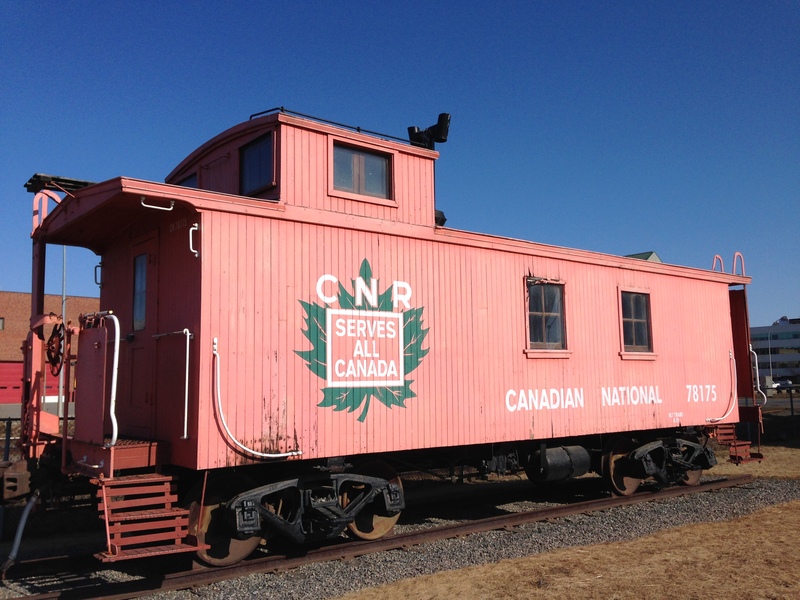 Last summer we learned that the City of Thunder Bay might be interested in divesting themselves of the CN Caboose, which currently sits at Prince Arthur’s Landing. After a number of emails, we met with Darrell Matson and Paul Fayrick from the Infrastructure and Operations Division who stated that the city needed to move the caboose due to the next phase of construction at the marina and there was currently no place to house it. There is also no funding or support to maintain it (it does need a little work). The next step is to make a deputation to city council to get their formal approval, which will take place on Monday, April 13th at 6:00pm. Anyone wishing to come and listen to the deputation is encouraged to do so. High Tea-One of our fundraising ideas, which we hope will turn into an annual event, is a High Tea event to take place on Sunday, April 26th at 2:00 pm. All proceeds from the tea will benefit the society. Please spread the word and plan to attend. We will also be looking for some folks to help out, so if you’re interested, please let Dave or Shelley know. Hymers Fair-Our presence at this long-running event will now become an annual occurrence. The experience of the past two years has been fantastic and has given the society a lot of exposure to the thousands of people who pass through the gates. We already have our booth for the 2015 instalment and it will be in a much more visible location. History Day-We are already looking forward to the 4th annual edition of this event which will take place at some point in October. More information will be forthcoming. On Sunday, March 29, 2015 the society will be holding its annual general meeting. The meeting will take place at the Silver Mountain Station at 2:00pm. Current and new members are welcome to attend; however only paid members will have voting privileges (2015 memberships can paid at the meeting). Highlights of the meeting will include a review of 2014 activities, a financial statement, updates on society projects and an opportunity for questions and answers. As well, elections will be held for all board position with the society (2 co-presidents, secretary, treasurer and 2 directors). Individuals interested in the positions should forward their name to shelley@silvermountainhs.ca. Hope to see you all on March 29th!